Part of our taste buds' adventures at Park Eat is an encounter with the juicy and tasty dishes offered by Beef Station. 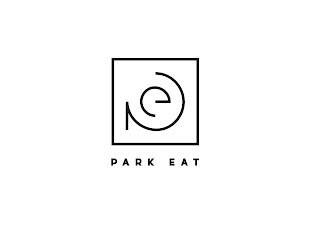 The newest food park in Pasig, Park Eat is located at 11 M. Eusebio Avenue, Barangay San Miguel. 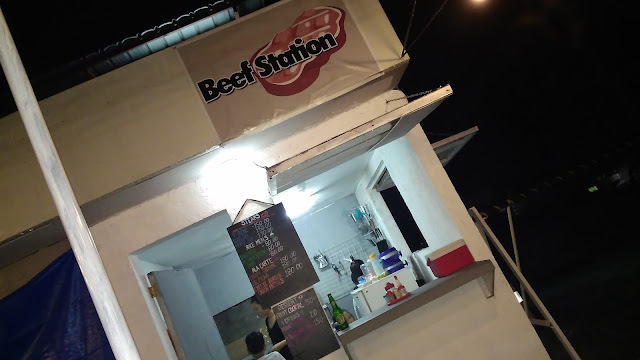 Beef Station is the first food stand you'll see when you enter the facility. Beef station offers your favorite beef dishes ala carte or as a meal with rice or mashed potatoes at very affordable prices. What did our taste buds enjoy that night? Here's a sampling from their menu. First up is their Beef Salpicao (Php180 for ala carte, Php80 for rice meal) which instantly became one of our favorite dishes that night. 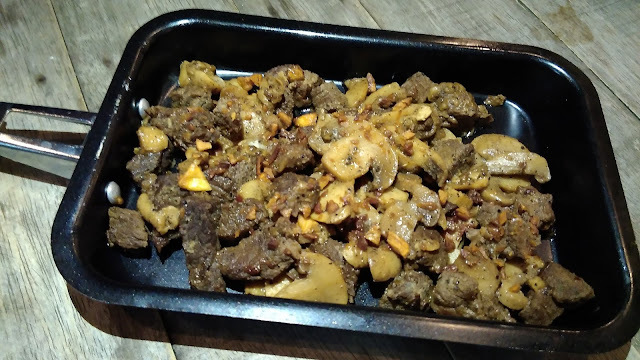 The nuggets of beef were soft and tender and the addition of mushrooms made the dish even more filling. The mushrooms were also coated with the sauce and tasted just as flavorful as the beef. Order it ala carte for the barkada or enjoy solo as a rice meal. If you're hankering for some steak, Beef Station has got you covered. 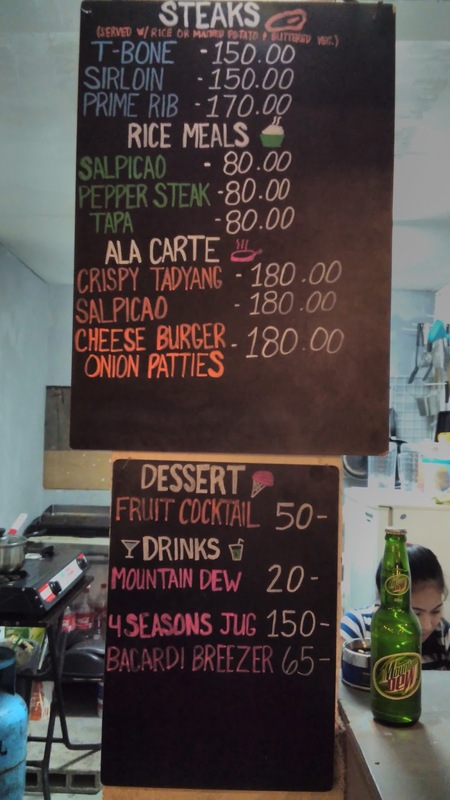 They offer 3 steak options: T-bone (Php150), Sirloin (Php150) and Prime Rib (Php170). 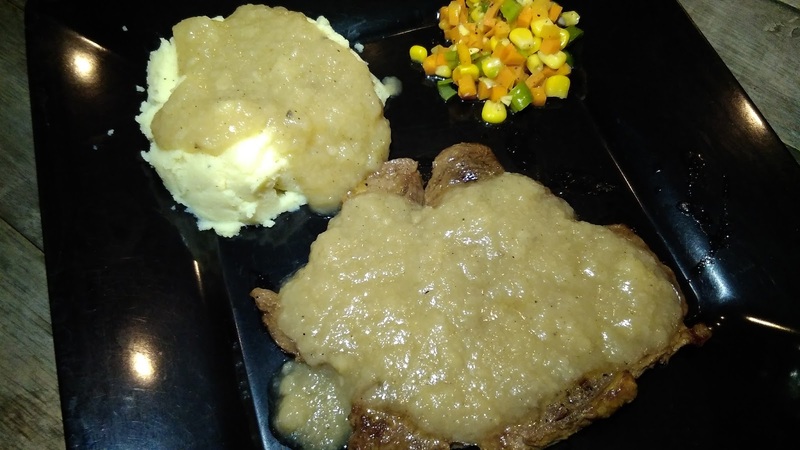 We got to sample the Sirloin with mashed potatoes and buttered veggies. The steak was cooked just right, not too soft and not too firm. The gravy was a nice compliment to the juicy steak and it was smothered on top of the mashed potatoes too. The mashed potatoes also get some of the spotlight in this dish. It was so creamy and flavorful that we couldn't help but take second helpings. As far as mashed potatoes go, this one makes it to the top of our chart. If you're not a fan of mashed potatoes, then order this with rice instead. The buttered veggies was a great compliment to the whole ensemble which also came in a generous portion. 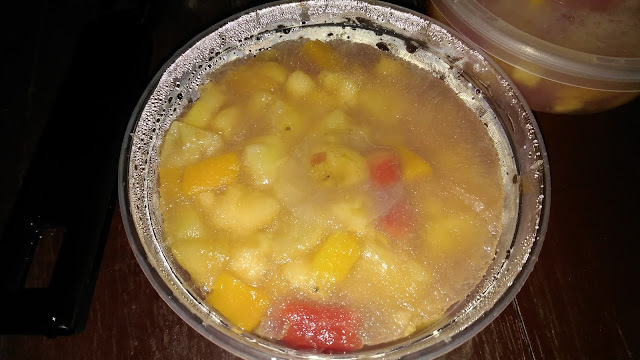 Best to eat this meal while still warm and when you have the time to actually sit down and savor each bite. You will want to partner this with some of their beverages. Complete your meal with any of their dessert offerings. We sampled their frozen Fruit Cocktail (Php50) and not only was it delicious and refreshing, the generous serving is good for sharing too. There's more at steak (see what I did there?) on their menu including more dishes to compliment their beefy offerings. Beef Station is just one of the many food stalls you can choose from at Park Eat and they are currently looking for interested vendors. Contact Lianne Locsin at 0998-984-9841 for details. More delicious offerings from Park Eat on the next post. Check back again soon!